SALT LAKE CITY, Utah - HARMAN's DigiTech announces the availability of the new Sound-Off pedal for the iStomp(tm) downloadable stompbox. DigiTech is broadening the range of the pedal line within the Stomp Shop(tm) app to now provide an easy to use utility pedal. 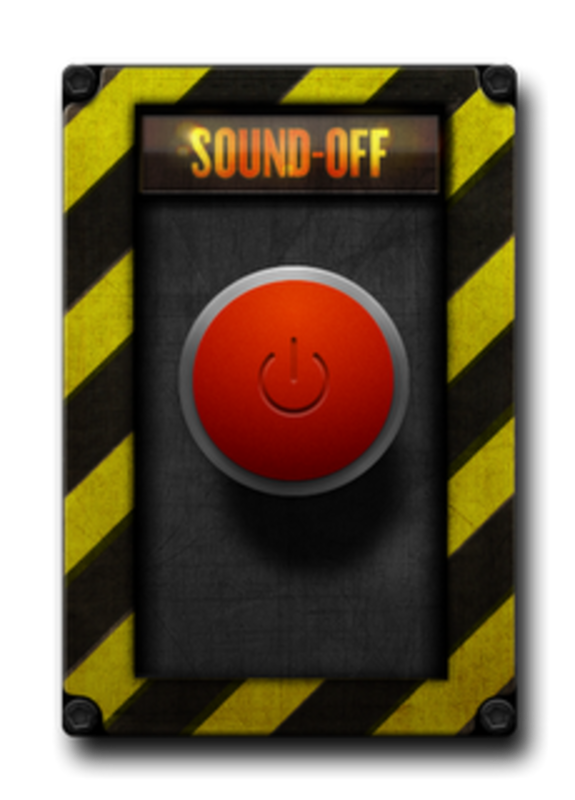 The Sound-Off is a simple pedal that provides a momentary switch to completely shut the audio signal off when the button is pressed and brings it back when released. This on/off function allows guitarists to create a special effect similar to the pickup on/off switch found on some guitars. "For guitarists who are looking to create a choppy effect that can be controlled at their feet, the Sound-Off is a flexible solution they can quickly add to their arsenal," stated Rob Urry, vice president, HARMAN Professional Division and general manager of Signal Processing and Amplifier Business Units, "and because we are using digital download technology, we are able to add very unique pedals like the Sound-Off in the Stomp Shop frequently." The Sound-Off pedal is now available from the DigiTech Stomp Shop at an introductory price of only US$0.99. This special price will run through April 30, 2012. After the introductory period it will change to its regular price of US$1.99. The DigiTech iStomp is an entirely new concept in guitar stompboxes that allows musicians to turn the iStomp into any pedal in the Stomp Shop. Offering almost limitless sonic possibilities, the iStomp connects to an Apple iOS device where musicians can use the Stomp Shop app to load it with the pedal of their choice. The Stomp Shop is a free app and comes with two of the most popular requested pedals, the DigiTech Total Recall Delay(tm) and the DigiTech Redline Overdrive(tm). It also gives access to additional pedals that musicians can browse, try out, and purchase. With the iStomp, DigiTech can deliver an ever expanding variety of great new pedals to guitar players worldwide via the Stomp Shop app. HARMAN (www.harman.com) designs, manufactures and markets a wide range of audio and infotainment solutions for the automotive, consumer and professional markets - supported by 15 leading brands, including AKG, Harman Kardon, Infinity, JBL, Lexicon and Mark Levinson. The Company is admired by audiophiles across multiple generations and supports leading professional entertainers and the venues where they perform. More than 25 million automobiles on the road today are equipped with HARMAN audio and infotainment systems. HARMAN has a workforce of about 13,000 people across the Americas, Europe and Asia, and reported net sales of $4.2 billion for twelve months ending December 31, 2011.